You may have noticed some changes to the new Mercedes-Benz lineup in Beaumont; namely, the disappearance of the Mercedes-Benz M-Class. Or, should we say… the re-birth of the M-Class. Discriminating luxury car drivers will notice that the M-Class has been replaced by a competitive new midsize sport utility vehicle, named the Mercedes-Benz GLE. You’ll also soon notice that the GLK has disappeared, and in its place comes the all-new Mercedes-Benz GLC. There’s a reason to the madness, though. To create a simpler and more intuitive shopping experience for drivers, Mercedes-Benz is leading a re-branding effort meant to better align their models. 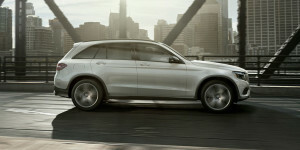 The C-Class-inspired SUV adopts linking letter “C” into its GL moniker. The E-Class-based GLE does the same. Meet the new Mercedes-Benz GLC here, and contact our Beaumont dealership for more information on the model, on availability, and how you can get yours.